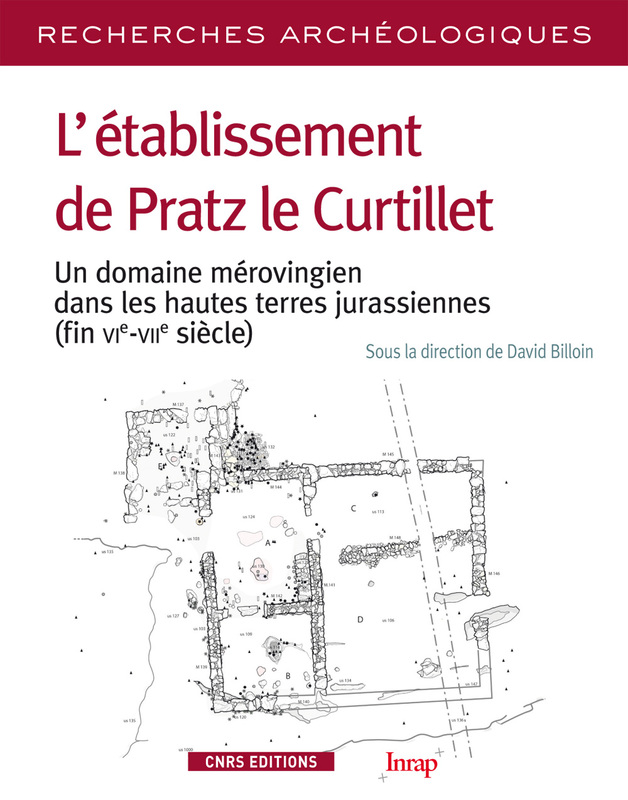 Among the earliest habitats of the early Middle Ages studied in Franche-Comté, the Pratz le Curtillet a settlement sets itself apart by its location in the Jura highlands, renowned for its remoteness and inhospitable landscapes. On the Lizon plateau, the scope of the archaeological work explored on the 16 hectares and the quality of the remains still constitute an exceptional complex today. An imposing 16m by 13m stone building flanked by an annex forms the residential part of the estate, while sheltering fodder and livestock, while the second building houses a forge. Domestic and artisanal equipment provide ample documentation on the living conditions of this small community of high status due to its involvement in the iron economy. Studies undertaken at different scales in a territory where one of the earliest monastic communities in Gaule is located, not far from a route crossing the massif, contribute to setting precious milestones for this period. David Billoin, archaeologist with Inrap, is attached to the UMR 5140 Archeology of Mediterranean Societies of the University Paul-Valéry Montpellier 3. He is specialised in perched housing and settlements from the late antiquity to the early Middle Ages, he has published many articles and contributes to several collective research projects on the Merovingian period. Authors: David Billoin, Marion Berranger, Manon Cabanis, Benoît Clavel, Jean Cayrol, Christophe Dunikowski, Tatjana Gluhak, Corinne Goy, Sylviane Humbert, Luc Jaccottey, Ildiko Katona-Serneels, Juliette Langlois, Hervé Laurent, Annabelle Milleville, Vincent Mougin, Claudine Munier, Inès Pactat, Jacqueline Pilet-Lemière, Martine Regert, Sylvain Rotillon, Anne Schmitt, Valérie Thirion-Merle, Julian Wiethold.